How can I make the most of my small garden? Well apart from telling you that you can still grow a very wide range of plants, flowers, fruit, vegetables, herbs and even trees in a small garden we thought it might be handy to give you a few ideas if you’re feeling a bit lacking in enthusiasm with your smaller than average garden. Firstly pots, containers and hanging baskets can really brighten up a small garden and although they won’t forgive you for neglecting them they can be fairly cheap and easy to make up too. If you visit your local market you will find a wide range of pots. One thing to make sure is that the pots have a drainage hole at the bottom, without this the soil will become waterlogged and your plants won’t like that very much and are unlikely to last very long. 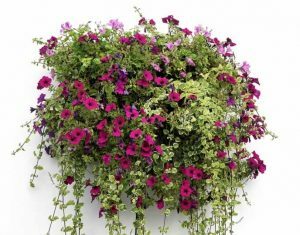 If you have absolutely no soil then pots, containers and hanging baskets are your only choice. Don’t be put off by the prices in your local garden centre, remember that these places have to offer a wide range of things and they often have huge overheads. You are better off going to a car boot sale or buying from the side of the road. If you don’t know much about gardening, trust your instincts – you don’t always want to buy the most colourful plants, chances are they have flowered and may be “over”, so buy something with plenty of buds on, and always make sure the leaves look healthy. The person selling will usually be only too happy to impart some advice on how to look after the plant and where to plant it. If you have a small bed you are probably best to give this to colourful shrubs and perhaps a few herbs. Be careful of mint, it’s like a weed really – don’t be afraid to keep pulling it up otherwise it will just take over. If you think outdoor pots are expensive look for the terracotta kind, they usually cost between £1.50 and about £5 for the really big ones. In all other cases, choose “frost free”. Pots and containers work well in a low maintenance garden because there is very little digging and weeding, just a lot of watering! If you have a patio chances are at some point you are going to want to give it a good wash, and take it from us water a scrubbing brush is hard work A pressure washer is an ideal piece of kit to get rid of the buildup of grass and dirt and whatever else is lurking in the corners of your patio. Here at Just Lawnmowers we offer a wide range of pressure washers. 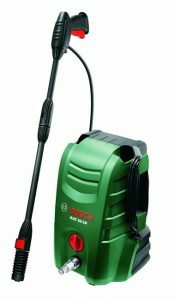 The Bosch AQT 33-10 Pressure Washer is probably ideal for where you have a small patio or path to keep clean. It is also small enough not to take up too much storage space, either. 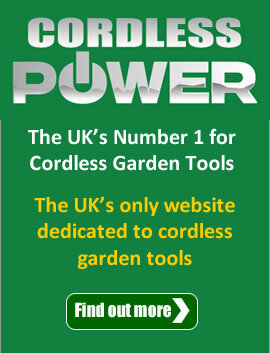 It features a powerful 1300w motor and a 3 meter pressured hose and priced at just £70.00 inc VAT with free delivery. A great investment which will easily make your patio or pathway looking good in no time at all. It’s electric so you will need a power supply but it’s easy to use and lightweight. If you think you need something with a bit more “oomph” then take a look at our range of pressure washers. And don’t forget a pressure washer will soon get your car clean as well, so it has a dual purpose! 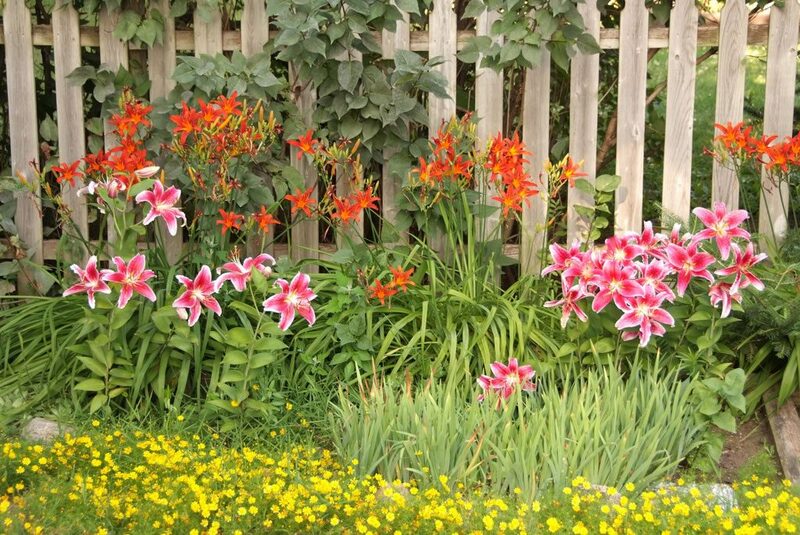 If your garden is small and you are planting from scratch, you could go for a theme. Either choose a colour to work with or perhaps plant only tropical plants, this is especially good for shady gardens as tropical plants mostly thrive in shaded areas. Exotic flowers that would work well in a tropical themed garden would be orchids, hibiscus and jasmine. A coderline or two planted in the middle of some gravel always looks good, but making sure you purchase a mature one will ensure it will be hardy enough to withstand a typical British winter. 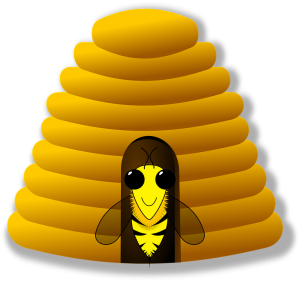 Planting flowers that attract bees and other pollinating insects to your garden is important too, they will help to ensure your plants and flowers are healthy and you are doing your bit for the environment too! If you are keeping shrubs and containers you are likely to need to prune them once in awhile. Important aspects of successful gardens often feature bird, butterfly and bee friendly plants and objects. A water table and some bird seed hangers are a magnet for birds, and now you can buy specific bird food for different types of birds. Some great fragrant plants for smaller gardens are varied and many but a few of our particular favourites are: Roses, lavender, penstemon, star jasmine, and clematis. Choosing plants that grow up a trellis is always a winner in a small garden, but always consider if you need a sunny or shady spot. Honeysuckle, passion flower, clematis, climbing hydrangeas, wisteria to name just a few. A hardy fushia by your front door looks good too. If space is really at a premium remember that your local DIY store will stock extra small sheds, greenhouses and shelving systems. Here you can also find some great ideas about growing vegetables. Things like potatoes can be grown in bags and don’t require a lot of floor space. And the following vegetables can be grown in containers with the right care and preparation: Beetroot, Broad beans, Carrots, Dwarf French beans, Herbs, Peas, Potatoes, Radishes, Rocket, Runner beans, Chillies & Peppers, Salad leaves, Salad onions, Salad turnips, Tomatoes. We hope you found this information helpful – and with land at a premium and large gardens becoming rarer as the need to build more houses increases – making the most of smaller gardens will be an invaluable asset as time goes on. How can I keep my garden healthy while I am away on holiday? Alex is responsible for managing Just Lawnmowers website and blog. When not building websites he spends his time out walking in the beautiful North Norfolk countryside, gardening in his wild, sloping garden or enjoying a game of chess down at his local chess club!